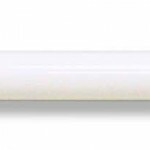 The 2.4GHz Omni-Directional Outdoor Antenna, EAG-2408, is designed to provide increased coverage for existing 802.11b or 802.11g networks. The EAG-2408 offers 360 degree of expanded coverage, effectively improving data throughput at farther distances. The EnGenius EAG-2408 also helps to improve signal quality and to reduce dead spots for your wireless network.